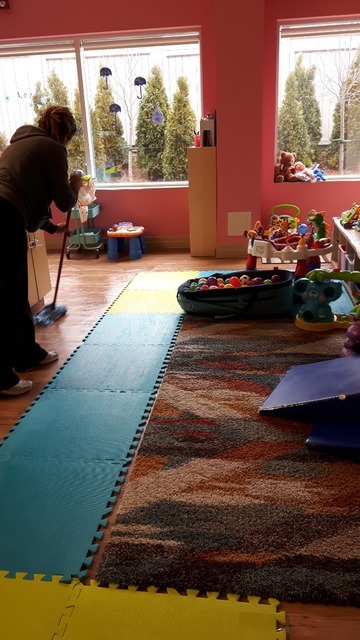 Ron and his team recently professionally cleaned our office floors. 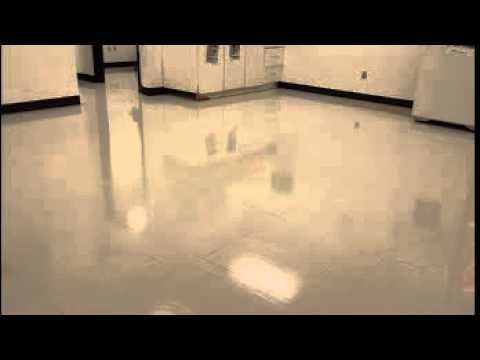 They are a ceramic tile with grooves in them and were very dirty (baked in dirtin grooves) We wondered if they would ever be clean again..
To our amazement, floors came out clean looking almost new again! Thanks again for the amazing job and service..We will call again! Great job to Ron and his team! My house was extremely messy after our reno and I seriously thought it would never get clean, a day of hard work from Preservation Cleaning and I can now start moving in! Great job by Ron and his team. Highly recommend! Before moving to my new house, they cleaned the previous owner mess. They started to clean the day I got the keys, and finished in 2 days. I could move in with my family as planned. Wow! What a pleasure it was to work with Ron and his team! Preservation cleaning did such a wonderful job! 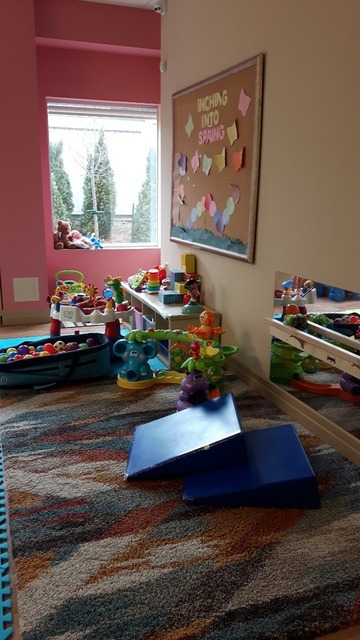 They were able to turn the space into a livable comfortable place again after the renos. On top of that they were very punctual, reliable, and affordable. Would highly recommend!! Great work! Our place was a complete mess after a move in and the team did an excellent job. They cleaned it so well we were immediately able to walk bare foot once they were done. Would recommend! While I would like to give a better rating, since I did find Ron to be nice and courteous and fit my job in quickly, I am rating a 3/5 and am hesitant to recommend this company. I overall felt that they did a satisfactory job but did not do as detailed and thorough a cleaning as I wanted. I hired Preservation to clean a new workshop that had been occupied by a wood working and copper shop, so dust was a problem. The unit has high ceilings with a lot of exposed pipes and beams where dust has collected. I had cleaned for 2 days myself prior to them coming and had cleaned a lot but was not able to reach up high. They got much of the dust out of the place but left several areas up high on pipes that were not completed and where dust still sat untouched. I noticed some areas while they were still there so they cleaned them, but continued to noticed more areas that had not been cleaned after they had left, in a hurry. I contacted Ron to follow up but he just said they tried their best, but did not offer to rectify to my satisfaction. About 65% was cleaned, which is why I am giving 3 stars, and am hesitant to recommend them because they did not do as thorough a job as I had expected. Thank you Preservation Cleaning! Ron and his team did a wonderful job cleaning and organizing our garage. The cleaners did a fantastic, thorough job. Everyone was very professional and friendly throughout the entire booking and cleaning process. I would definitely recommend Preservation Cleaning!!! Thank you, call us again anytime you need it. I highly recommend this company. Punctual, reliable, professional and very thorough. I ordered the move-in deep cleaning and the result was amazing! They cleaned walls, appliances, floors and windows, with a great attention to detail. I could not recognise the unit, really. Ron and his team are great, warm, understanding people. It was a pleasure serving you. Thanks for your feedback. I have used Preservation cleaning on several occasions (small and big jobs, as a builder). Ron the owner is very easy to get a hold of and he has a great big team that works for him. The attention to detail is second to none. Ive had Ron and his team work on a 5000 sqft house as well as some condos. The quality of work is A1. Highly recommend them to anyone who is looking for cleaning or home detail work. The company president visited our home himself to provide a quote for post renovation/construction cleaning. He was able to gather a large, professional, happy team in 48 hours to meet a tight timeframe. The attention to detail and commitment to quality are greatly appreciated. We can not recommend this service more highly. Thank you for making our move home even more exciting! Everything looks fantastic. Thank you very much Jennifer for your review,your business and referral. It was our pleasure to provide our services to you. All the best for you and your family on your forever home. Preservation Cleaning. 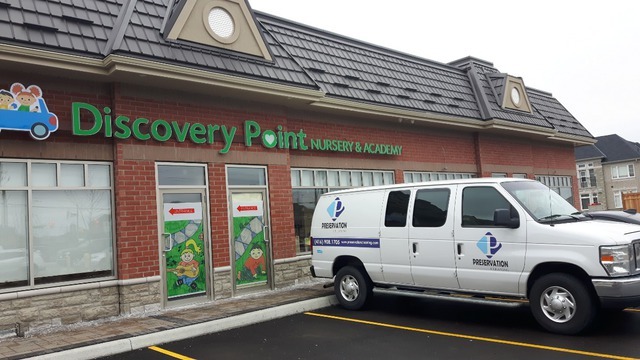 Preservation Cleaning Maintenance is a fully insured, comprehensive janitorial service company in Toronto, operated business that has been providing professional janitorial services for all types of businesses. All of the services Preservation Cleaning Building Maintenance provides are tailored to meet your specific needs. Please contact us for a free quote and we will be happy to visit you! 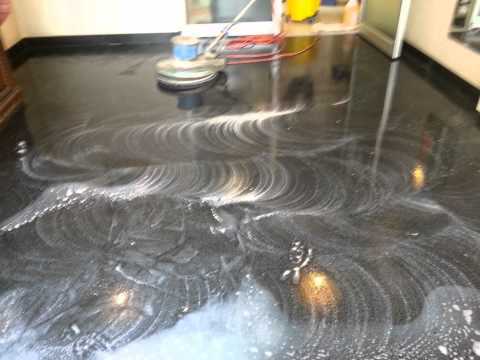 We also provide duct cleaning and driveway asphalt sealing. Post Construction Detail Cleaning. Luxury Detail Post Renovation Cleaning Services. We are specialized in Janitorial Service, Post Construction Cleaning Office cleaning, Strip and Wax floors, Carpet Cleaning, Windows Cleaning, Post Renovation Clean up, Duct Cleaning. Building Maintenance.